NOVEMBER 2012: Awards? Bah! We don’t need them to know we’re good, right? True. All that is good is not recognized, and all that is recognized is not good. And yet … we’re human. It’s nice to be praised. 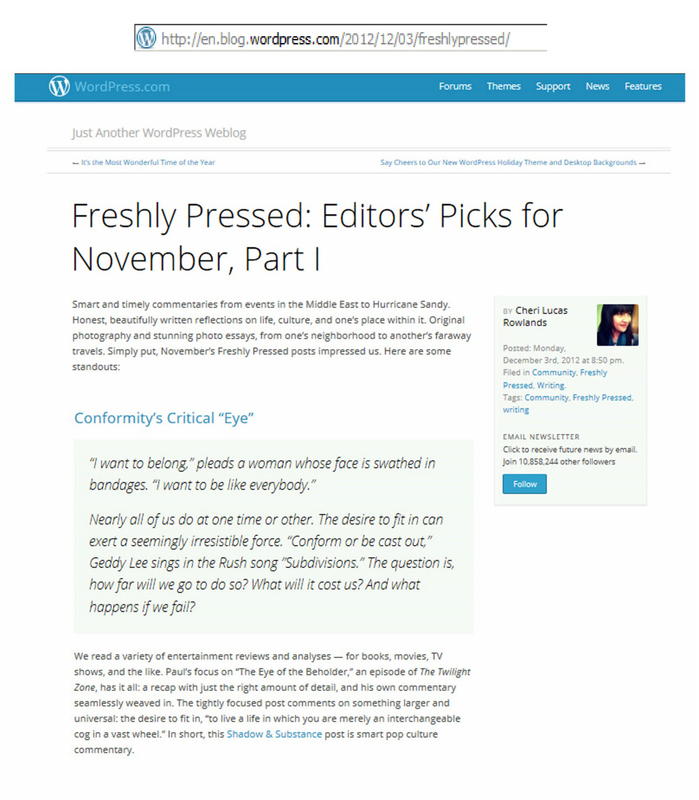 So when I learned that the Wordpress editors had selected my post “Conformity’s Critical Eye” to be “Freshly Pressed,” it felt good. Really good. And not just for the obvious reason. It was a special triumph because 1) it was a post about my favorite episode of The Twilight Zone, “Eye of the Beholder,” and 2) it was my first collaboration with my friend Wendy Brydge. She supplied me with dozens of high-quality pics for the piece, read early drafts and provided invaluable advice. Without her help, I’m convinced it would have been just another blog post. 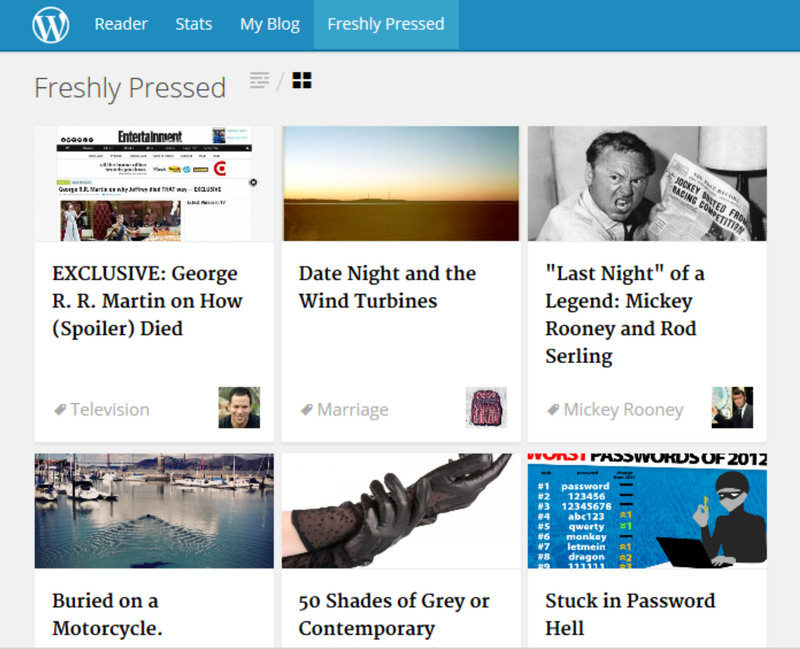 We read a variety of entertainment reviews and analyses — for books, movies, TV shows, and the like. Paul’s focus on “The Eye of the Beholder,” an episode of The Twilight Zone, has it all: a recap with just the right amount of detail, and his own commentary seamlessly weaved in. The tightly focused post comments on something larger and universal: the desire to fit in, “to live a life in which you are merely an interchangeable cog in a vast wheel.” In short, this Shadow & Substance post is smart pop culture commentary. What a nice honor. Thank you, WP editors. Thank you, Wendy. Most of all … thank you, Rod. APRIL 2014: When I heard that Mickey Rooney had died, I couldn’t help but feel like a piece of the Serling-verse had died, too. 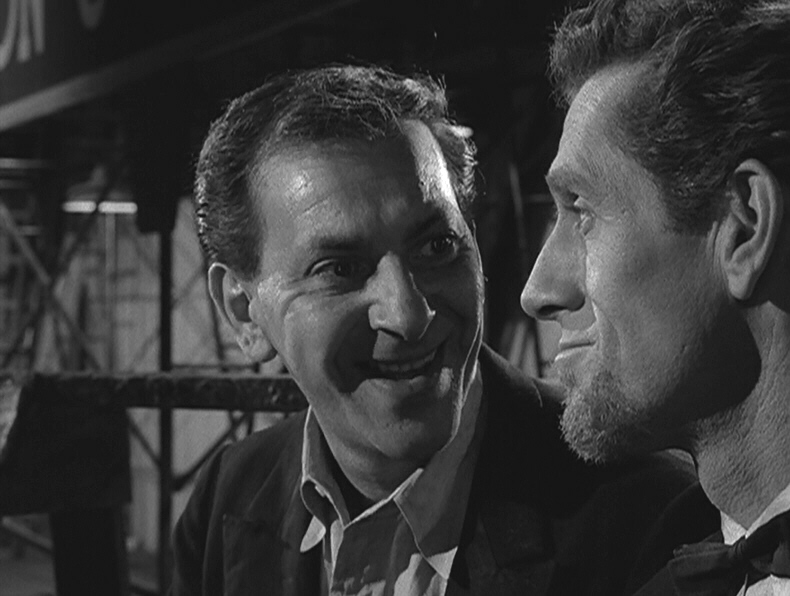 I mean, here was a man who was not only a colossal talent, but someone with connections to all three phases of Serling’s career. So it was bittersweet to create a blog post to honor Rooney … and then have that post be Freshly Pressed. My hope was to bring something new to the avalanche of tributes being paid to Rooney. Judging from the flood of views, likes and comments that ensued, I think it worked. As a fan of the work he did for Serling and others, I couldn’t be more pleased. Your piece certainly deserved to be Freshly Pressed, Boss. And to make Editor’s Pick. It’s a true literary masterpiece. You outdid yourself writing it and I was more than happy to assist. In fact, I’m honoured to have been a part of this with you. Well, GF, I’ll let you in on a little secret. Once I said I planned to write a post about this episode, you’d remind me from time to time, and tell me how much you were looking forward to it. So if that post is a masterpiece, it’s because I was determined to live up to your expectations for it. You helped me dig deep, my friend. And I can’t thank you enough. Thanks, Arlen! Your TZ projects look terrific. If somebody doesn’t get me the coffee-table book for Christmas, I’ll buy one for myself!